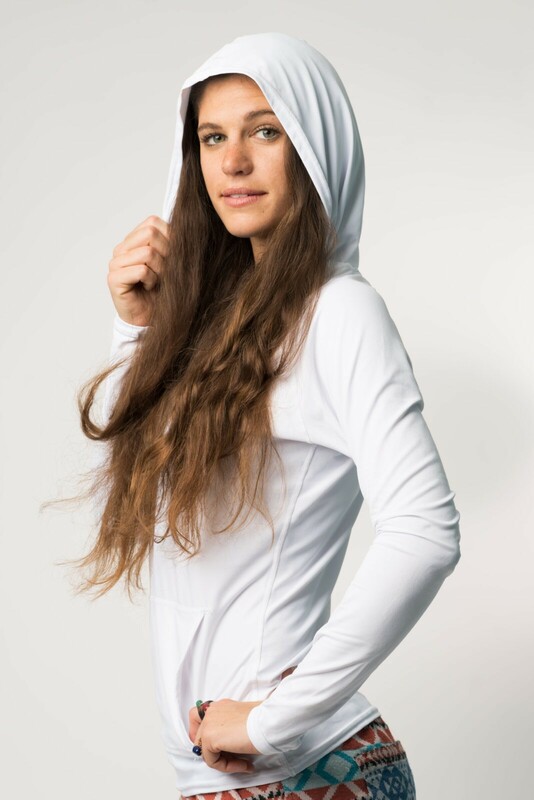 Excellent quality long sleeve womens private label hoody with pocket made in the USA for every day recreational use. Flat lock stitch and seams, no neck label, torso length, and double needle hem Geared to perform and formulated for comfort. 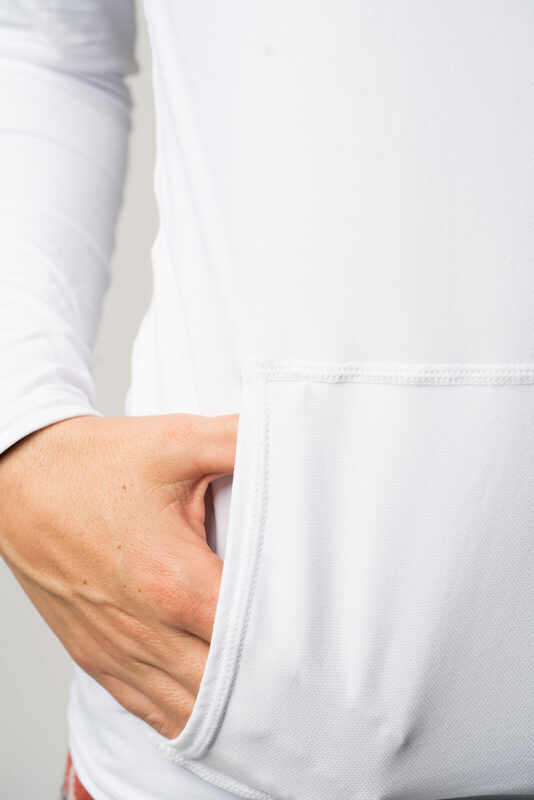 Loose fit: Fits like an active t-shirt. 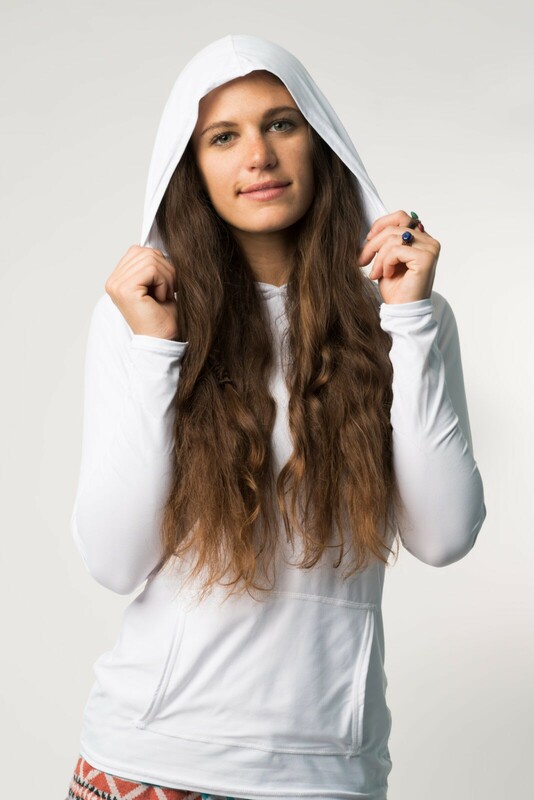 A womens long sleeve SPF hoody with great function and excellent quality that protects against burning. Sun’s Out- Sleeves On! 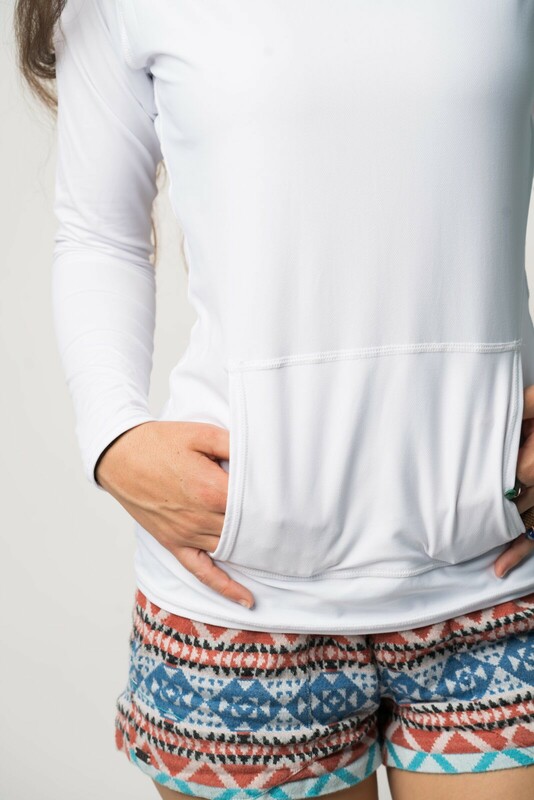 We’re Shore you’re going to love this cool and comfortable womens private label hoody as apart of your summertime private label line. Designed for all day adventures in the sun, where a little bit of shade feels like paradise. Features a high necklace, hood, and kangaroo pocket. 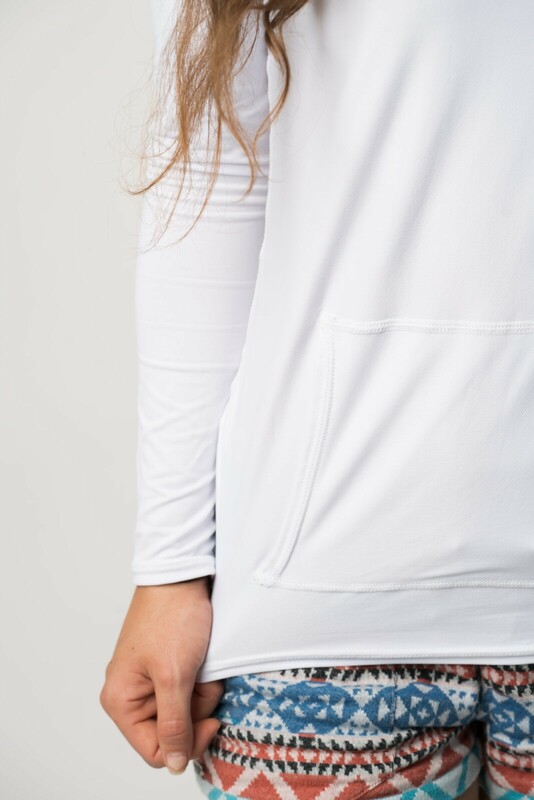 This womens hoody is a rash guard in disguise, wears in and out of the water during any activity. Soft and quick drying for effortless high quality. Branding your business as a serious member of the performance industry. 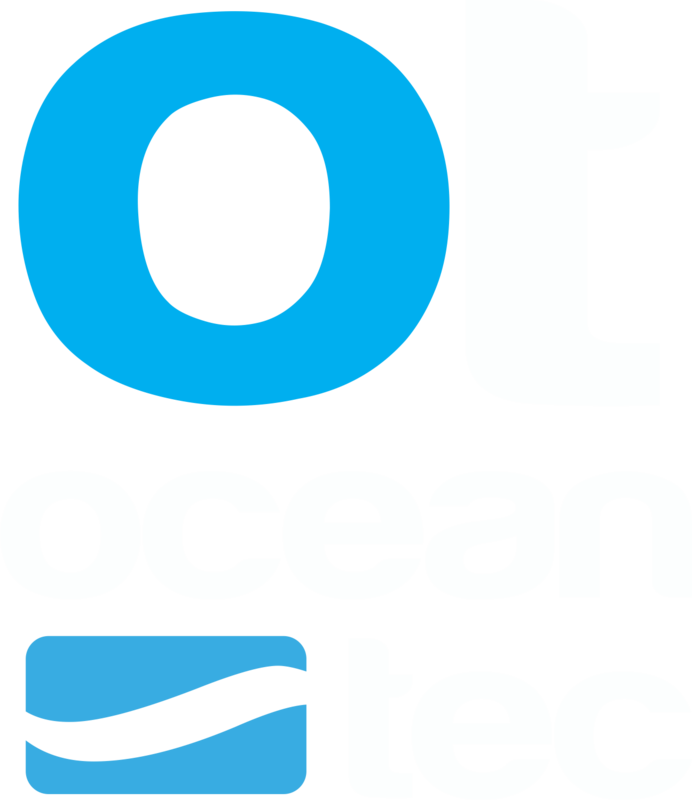 Your customers will appreciate versatility and dependability in hot and humid conditions, along with comfort in situations where remembering to apply sunscreen may be easily forgotten. 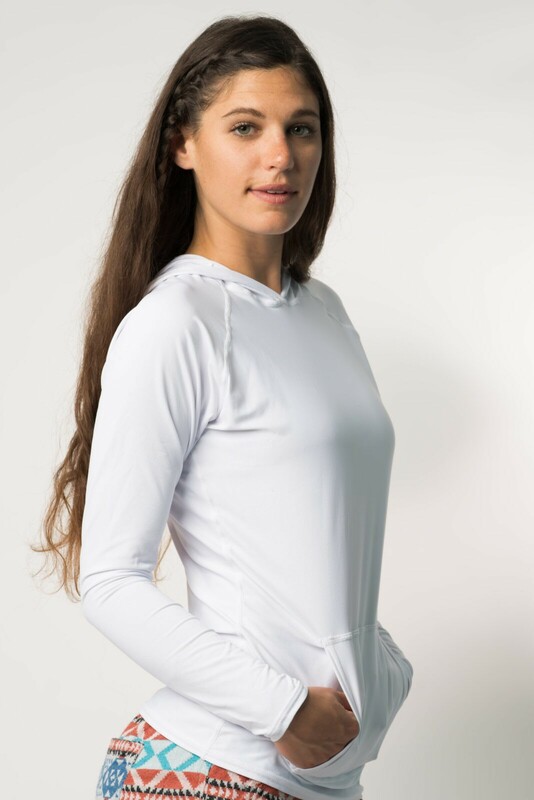 A classic and sporty womens SPF shirt to add to your athletic private label line. Our stretchy 3FLEX Nylon/Spandex fabric cools, moves and breathes, beats the heat and allows us to confidently spend more time doing what we love under sunny skies. Pairs with a bikini, leggings, or shorts. Rated UPF 50+ and Dermatologist recommended.. 100% customer satisfaction guaranteed. You must have the right gear, And one of the most versatile essentials is a good sun shirt.